James Cameron is going to make three more Avatar movies regardless of how you feel about them or the Avatar Land attraction that recently opened. The director-producer has shown a little discretion—for example, he doesn’t think he needs to bring Pandora to the small screen. Cameron’s pretty confident that four Avatar movies are all we could ever kind of want, or not really need. That said, you’ll have to wait a while before booking return passage to the land of the very tall and very blue people (and Sam Worthington). Cameron tells The Toronto Star that since he’s cooking up a whole batch of Avatar movies and not just working on an individual sequel like a sucker, it’ll be a while before the first one’s ready. Well, 2018 is not happening. We haven’t announced a firm release date. What people have to understand is that this is a cadence of releases. So we’re not making Avatar 2. We’re making Avatar 2, 3, 4 and 5. It’s an epic undertaking. It’s not unlike building the Three Gorges dam. [Laughs.] So I know where I’m going to be for the next eight years of my life. It’s not an unreasonable time frame if you think about it. It took us four-and-a-half years to make one movie and now we’re making four. We’re full tilt boogie right now. This is my day job and pretty soon we’ll be 24/7. We’re pretty well designed on all our creatures and sets. It’s pretty exciting stuff. I wish I could share with the world. But we have to preserve a certain amount of showmanship and we’re going to draw that curtain when the time is right. 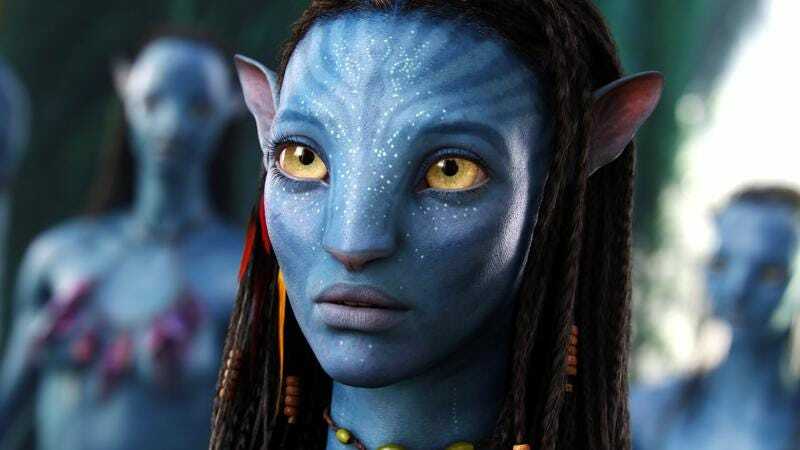 We’re not positive, but it sounds like the next Avatar movie won’t be out until sometime next decade. Presumably by then, Worthington will be in the middle of his own McConaissance, or some similar resurgence—the Working-again-ing-ton, maybe? Well, whatever, we have plenty of time to coin an appropriate term.